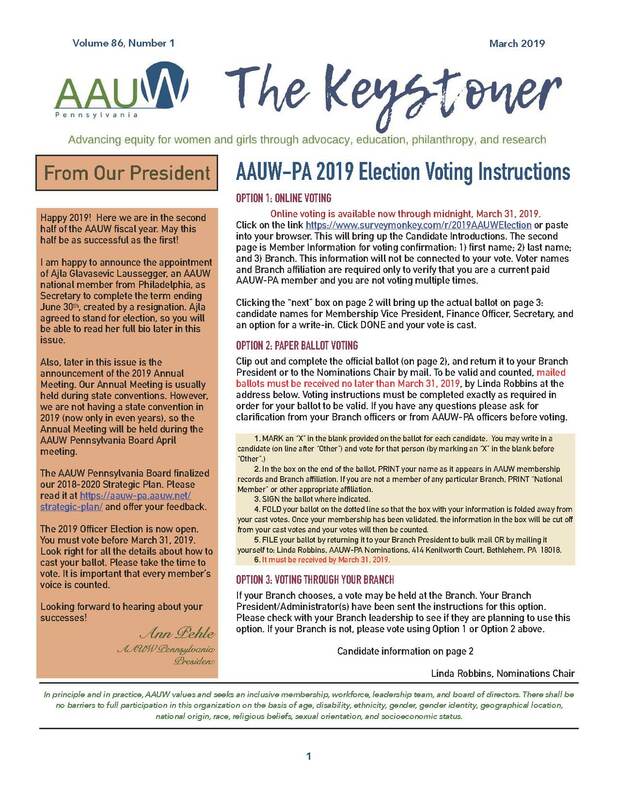 AAUW-PA is offering branches the opportunity to plan and implement programs we think will be of broad appeal in their communities with the hope that as community members learn about AAUW, they will consider joining a local branch. The two programs are “Deeper in Debt: Women and Student Loans”, the new AAUW research report, and “Draw the Lines PA”. Draw the Lines PA is a collaboration that AAUW-PA has entered into with the Committee of Seventy organization, a non-profit, non-partisan organization, to educate community members about the pitfalls of gerrymandering in our elections along with a contest to have different groups of people (high school, college, and/or community residents) use free software to draw their own voting district lines. Deeper in Debt: Women and Student Loans addresses the extra burden women face over men in paying back student debt due to factors such as the gender wage gap, being single mothers, etc. Programs could involve panels of stakeholders on the topic such as college students, parents, college financial aid officers, banks, and the general public or other appropriate format.